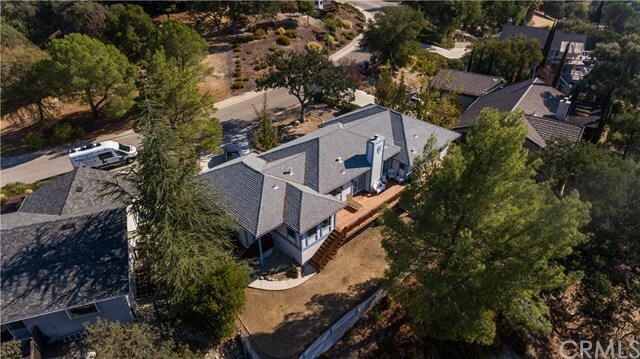 Tucked in the hills of Paso Robles, this timeless home has been meticulously cared for by the original owner since 1989. The 1852 sq ft has a nice flow. The living room is the center of the home which gives a natural separation from the 3 bedrooms and 2 baths on one end of the the home and the kitchen, dining and breakfast nook at the other. There is a bonus library/sitting room with french door entry just off the living room. Access the Iron Wood deck on the back of the home by french doors off of the living room as well as out the kitchen nook. The deck is a wonderful peaceful place to take in the natural beauty of the property. Time can escape you while enjoying the serenity of the large oaks, quite setting and warm sunshine while sitting on the deck. A very spacious two car garage gives plenty of room for storage, hobbies and cars. This large lot lends to a country feel yet minutes from all the conveniences of Paso Robles. Directions: US 101 North, take Spring St exit, Left on 15th St, Left on Terrace Hill, House on Right.